There is no maximum .. the minumum is 10. There is no x in the question. It is the vertical change in height that you have found. Really, it looks good on mine, maybe your screen is smaller??? 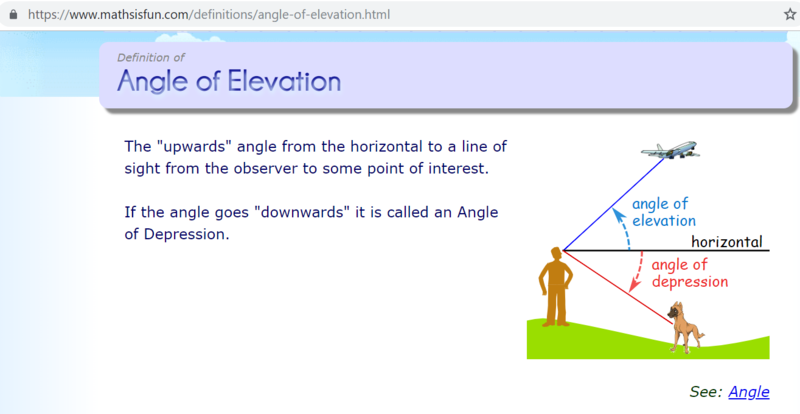 And and angle of depression is from the horizontal looking down. What is the problem? Do you know how to sketch it? I will check your answer Jenny. I think this is your question. It is hard to read.